SOLD in less than a week for $975,000 ($150,000 over asking). 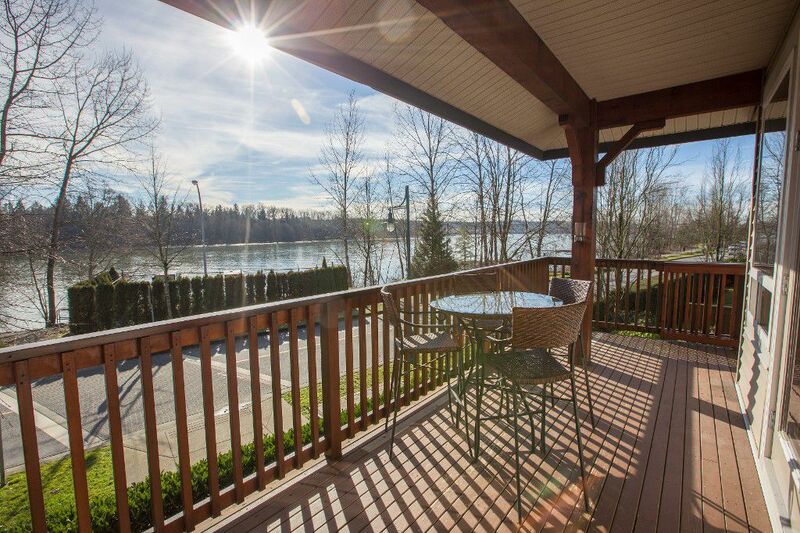 Waterside Living at The Boardwalk on the Fraser River. A location & home that is blessed by nature. Liberty Homes former display home. Experience the surroundings from the spacious main floor with 9’ ceilings, oversized windows & french doors that open to an expansive covered deck overlooking the River. Separate Living & Dining area also have a large deck. River views from every bedroom! Huge daylight, walkout Rec. Room down with slider to patio & bathroom. Bonus - Heat Pump & Heated Garage! Beach access - 200ft to the West. A commuters dream, 1 traffic light between this home & Vancouver. Here, your dream of waterfront living becomes a reality. This home reaches for the sky, with endless river views. Large sunny outdoor decks and the "Citadel Landing" boardwalk at your front door. See & Believe - This Is It!